A man accused of hate speech for distributing flyers in Saskatchewan condemning homosexuality will appear before the Supreme Court of Canada. The Supreme Court of Canada on Wednesday heard arguments in the case of a man accused of hate speech for distributing flyers in Saskatchewan condemning homosexuality. 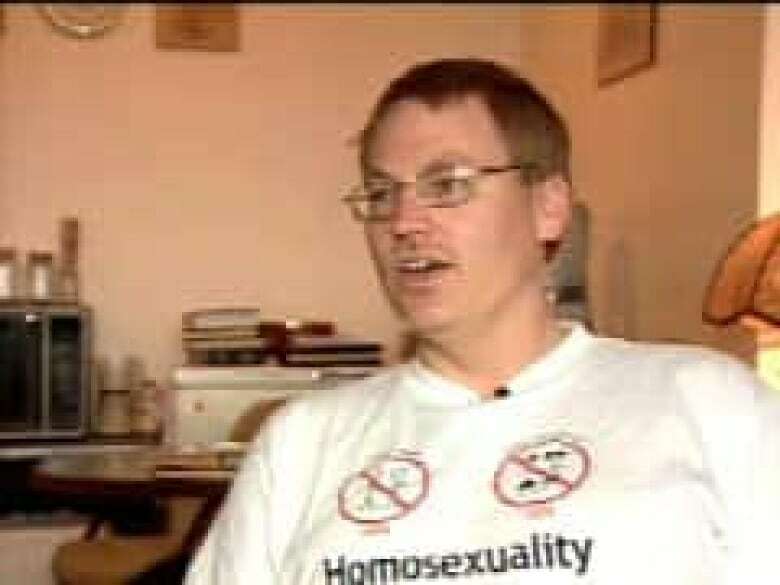 Bill Whatcott was charged with promoting hate after he distributed flyers in Regina and Saskatoon in 2001 and 2002 calling homosexuals sodomites and child molesters. "Our children will pay the price in disease, death, abuse and ultimately eternal judgment if we do not say no to the sodomite desire to socialize your children into accepting something that is clearly wrong," one of the pamphlets said. Whatcott was found guilty by the Saskatchewan Human Rights Tribunal in 2005 and ordered to pay $17,500 to the complainants, but the Saskatchewan Court of Appeal overturned the ruling in 2010. Whatcott argued he was opposed to gay activity, not gay people. The Supreme Court of Canada agreed to hear the case between Whatcott and the Saskatchewan Human Rights Commission. The hearing Wednesday continued with interventions from interested third-parties. Where do you draw the line on free speech? Take our survey. "At home and abroad the 20th century is rife with examples of extreme speech and related violence that was left unchecked and unchallenged to terrible and tragic ends," David Arnot, chief commissioner of the commission, said at a news conference Tuesday. Whatcott's lawyer, Thomas Schuck, wants the court system to lose its right to rule on hate speech. He says it's almost impossible to define what hate is. The court's decision likely won't be known for months. P.O.V. : Where do you draw the line on free speech?